If you want to see beautiful auroras, forget Alaska, Canada, and Iceland—check out Jupiter. At the gas giant’s north pole, the most powerful and luminous northern lights in the solar system shimmer and glow in an endless geomagnetic storm that’s larger than our entire planet. 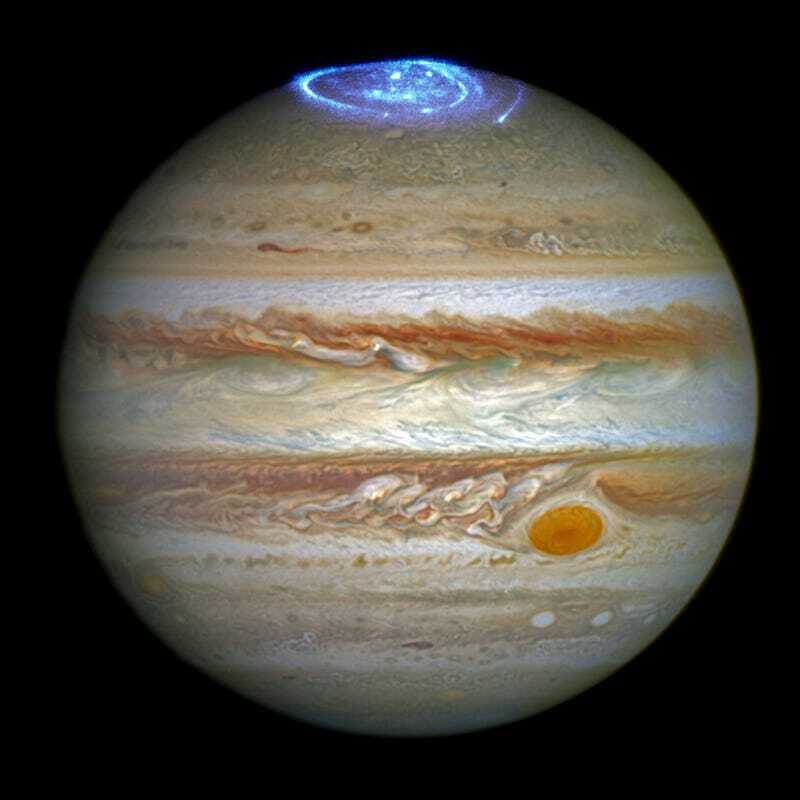 Jupiter’s glorious auroras—caused by the gas giant’s enormous magnetic field reeling in charged particles from the solar wind—were first discovered by the Voyager spacecraft in 1979. They’ve been studied so intensively over the past few decades that “Jovian space weather scientist” has become a bonafide sub-discipline of astronomy. Now, the Hubble Space Telescope has captured some of the most vivid images yet of this exotic space weather display. With its ultraviolet capabilities, Hubble has been been observing the dance of Jupiter’s northern lights for about a month. The timing of this observational campaign is no accident. In less than week, NASA’s Juno mission will arrive in Jupiter’s orbit for a dangerous, year-and-a-half long mission that seeks to map the gas giant’s magnetic field, study its interaction with the solar wind, and determine the origin of the auroras.